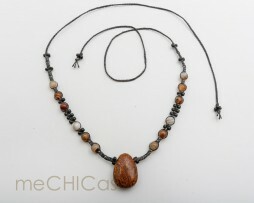 Handmade necklace with black waxed cord. 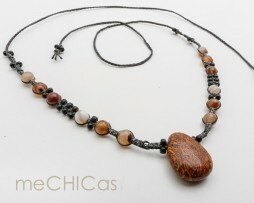 The necklace has a beautiful pendant, a cephalopod fossil! 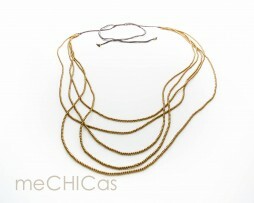 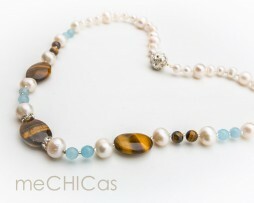 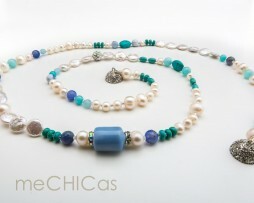 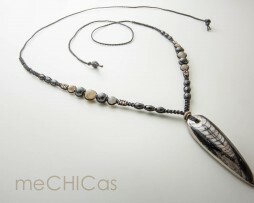 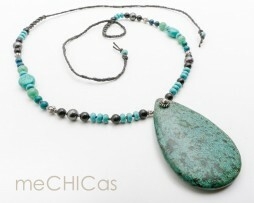 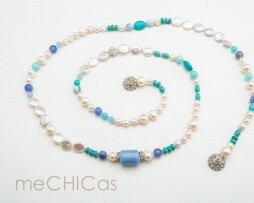 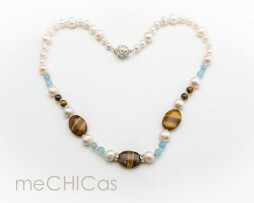 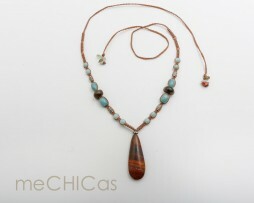 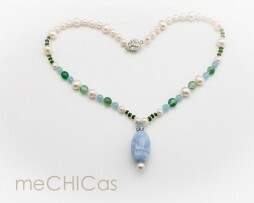 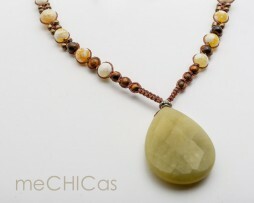 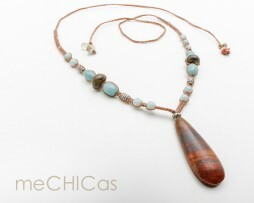 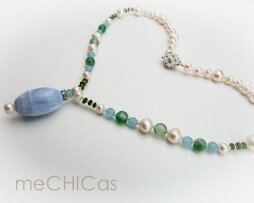 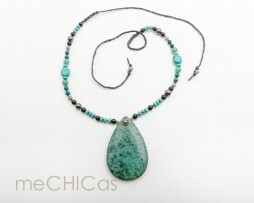 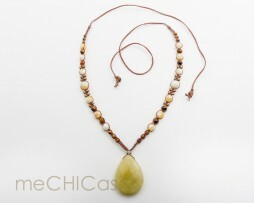 The chain is a harmonious combination of labradorite stones and hematite. 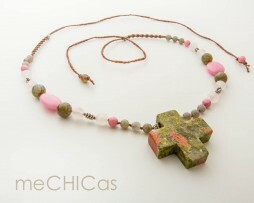 Beautiful handmade necklace with a unakite cross pendant. 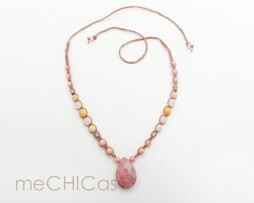 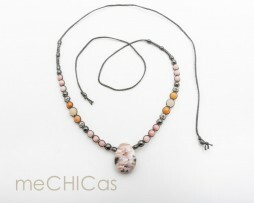 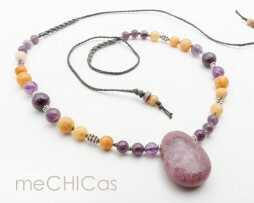 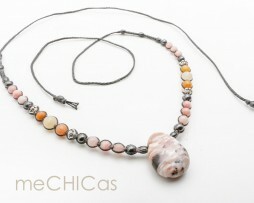 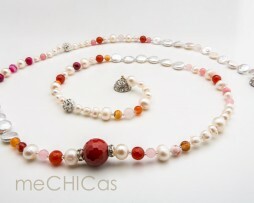 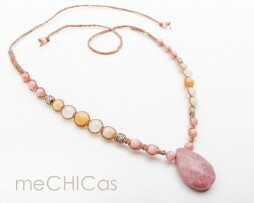 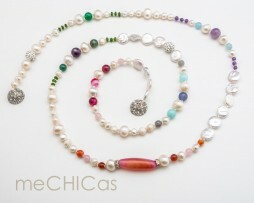 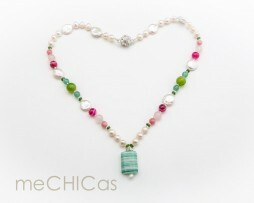 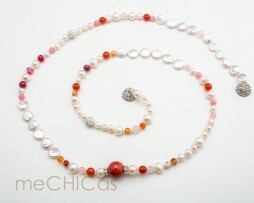 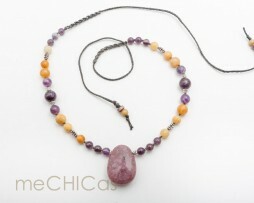 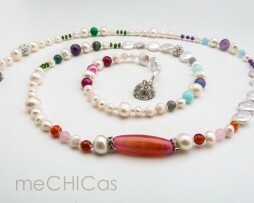 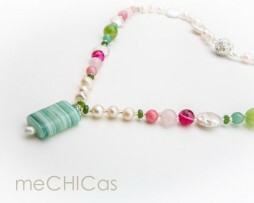 The necklace is combined with the following stones: labradorite rhodochrosite, rose quartz and pink agate.